Inna appears on April 8th and 15th as part of National Poetry Month on 98.7 WFMT-FM Chicago. Inna Faliks’ Music/Words series is an interdisciplinary live performance series founded by NYC-based pianist Inna Faliks, exploring connections between poetry and music by presenting collaborations between exciting solo musicians and acclaimed contemporary poets in the form of a live recital/reading. Inna Faliks created the series in order to foster a chance for poets and musicians to work together and inspire each other, as well as to allow different audiences to come together for these musical-literary events. New published and unpublished works are read alongside performances of music old and new and connected by content, intuition, and inspiration. April 8 will feature a broadcast of October 2012’s concert with Chicago’s Poetry Foundation. Faliks was joined by Valzhyna Mort, winner of Poetry magazine’s Bess Hokin Prize and the author of Factory of Tears and Collected Body, as well as Vera Pavlova, whose first poetry collection in English, If There Is Something to Desire, was a bestselling title in 2010. Works by Gubaidulina, Tchaikovsky, Lera Auerbach, Shchedrin, and Schumann were performed by Faliks. April 15 will feature Faliks with a poet to be announced. Notes: Pianist Inna Faliks appears on April 8th and 15th as part of National Poetry Month on 98.7 WFMT-FM Chicago. Inna Faliks’ Music/Words series is an interdisciplinary live performance series founded by NYC-based pianist Inna Faliks, exploring connections between poetry and music by presenting collaborations between exciting solo musicians and acclaimed contemporary poets in the form of a live recital/reading. On March 30, Inna will present “Three Jewish Composers Three Centuries” at Baruch Performing Arts Center, Baruch College, 25th Street, New York City. This lecture is combined with performances of the work with Schoenberg, Gershwin, and Zhurbin. 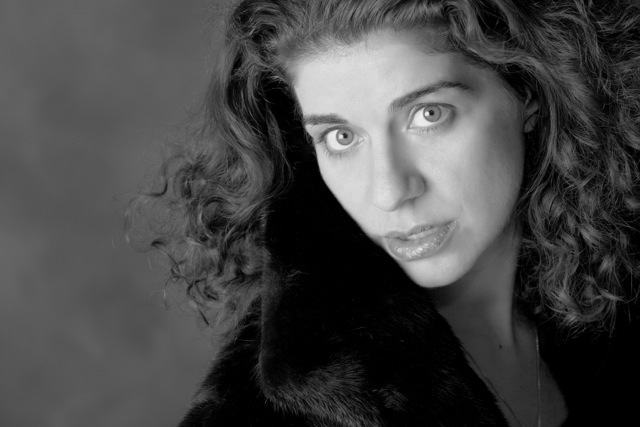 This concert is part of Baruch College’s SOLO IN THE CITY SERIES: JEWISH WOMEN JEWISH STARS. Click here for more information. Called “adventurous” and “passionate” by The New Yorker and “poetic” by Time Out New York, Ukrainian-born, New York City-based pianist Inna Faliks (www.innafaliks.com) has established herself as one of the most passionately committed, exciting and poetic artists of her generation. After her debut with the Chicago Symphony Orchestra, she has performed on many of the world’s great stages, with numerous orchestras, in solo appearances, and with conductors such as Leonard Slatkin and Keith Lockhart. Critics praise her “courage to take risks, expressive intensity and technical perfection” (General Anzeiger, Bonn), “poetry and panoramic vision” (Washington Post), and “riveting passion, playfulness” (Baltimore Sun). Her acclaimed CD on MSR Classics, “Sound of Verse”, was released in 2009. Notes: Inna Faliks in “Three Jewish Composers, Three Centuries” as part of the Solo in the City series. Faliks will perform her special lecture/concert with compositions by Arnold Shoenberg (19th century), George Gershwin (20th century), and Lev “Ljova” Zhurbin (21st century). The Los Angeles Times, calling Inna a “rising star” recommends her upcoming concert this Friday, March 15 at UCLA’s Schoenberg Hall. I think one can hear to opus 11 as as a journey of spontaneity, of immediate expression – which is what the composer wanted. It speaks lyrically, wails painfully, roars and even giggles. There are little fragments of waltzes, memories of melodies, nightmarish undertones. It all ends with “Emancipation of Dissonance” in the third piece – and this can be listened to in the same way as one would watch a French New Wave film. Thoughts, feelings, actions happen in real time, without premeditation. Inna will perform with the Minnesota Sinfonia as part of their Winter Concert Series. “An Old Fashioned Fantasia” will feature a world premiere by Theodore Unseth, as well as works by Ralph Vaughn Williams and Felix Mendelssohn. Please note that there will be two performances at two different venues and times: on Friday, April 26, at 7:00 pm at Founders Hall, and on Saturday, April 27, at 2:00 pm at Basillica of St. Mary. Arrive early to Founders Hall at Metro State University. The performance space seats only 317 and often fills to capacity. Overflow audiences will be seated in the lobby. This venue is handicap-accessible with limited handicap parking. Parking across the street is $2.50. The Basilica of St. Mary has handicap-accessible parking and entrances. Some free parking is available in lots. For more information, please visit www.mnsinfonia.org/winter-concert-series-v-2. Inna will perform a solo recital in Los Angeles at Schoenberg Hall, Schoenberg Music Building, UCLA Herb Alpert School of Music on Friday, March 15, 7:30pm. In her debut recital as a Professor of Piano on the UCLA faculty, Faliks performs works by Schumann, Beethoven, Shchedrin, and Schoenberg. Tickets are $12; $5 UCLA faculty, staff and students (with ID). Schoenberg Hall is at 445 Charles E. Young Drive East in Los Angeles and parking can be found in Lot 2. The kiosk at Hilgard and Westholme is directly across the street from Lot 2 and will sell parking passes to visitors. For more information, visit http://www.music.ucla.edu. Sitting under the Tiffany glass dome in the Chicago Cultural Center on Tuesday evening, it was hard to remember we were in fact an audience in Chicago, and not at the National Gallery of London listening to pianist Myra Hess. As a part of the 35th anniversary of the Dame Myra Hess Memorial Concerts in Chicago, the International Music Foundation sponsored the U.S premiere of Admission: One Shilling. Originally conceived and written by Hess’s great-nephew Nigel Hess, the play retells the story of the lunchtime concerts Myra Hess organized daily at the National Gallery in London during World War II. On stage as Hess’s musical voice was Inna Faliks, who grew up on the North Shore, and hit television show Downton Abbey star Lesley Nicol, Hess’s historical voice. Faliks performance was so subtlely impressive. Marked from the first moment she walked out on stage, to her final bow, her performance was so graceful and effortless. She is one of the few pianists I have known who can command such attention with her quietly powerful performance. It was clear to me through her poised and beautiful performance that Faliks understood Dame Myra Hess well, and that the production held particularly special meaning for her. Not only because she grew up performing in the Chicago series, but because she also so deeply is attuned to and appreciates art forms that interact, evidenced by her award-winning Music/Words series that combines poetry and music. Lesley Nicol, fondly known to many of us as Mrs. Patmore from Downton Abbey, couldn’t have been more delightful as Myra’s historical persona. Nicol’s overall warmth just entering the room and the great bits of wry humor of the play itself, were perfect to capture audience attention right away and retell not just Myra’s story from the Blitz, but London’s story too. One of the things I most enjoyed from Nicol was her ability to simply connect so well with the music, and with Inna. Nicol’s experience from the stage (she played Rosie in the West End production of Mamma Mia, among other performances) made her a particularly good choice to connect with the production. The musical voice and the historical voice blended so seamlessly that time was easily forgotten during the performance and suddenly we’d reached the end of the war, Myra’s famous concerts, and the enchanting Admission: One Shilling. After leaving, another writer and I were discussing how lovely the evening was, and how we wished that the performance wasn’t just for one night. The story of Myra Hess is not all that well known, but timeless and validating for the world we live in now, and I hoped more people could have encountered it. When things were falling apart at the seams, Hess knew music brought people together in a way that nothing else could. It’s a lesson that holds as much relevance in the nearly 75 years after World War II as it did then. I am really looking forward to another return recital at Salle Cortot in Paris. This is one of the most beautiful recital halls in the world, with its magnificent wood paneling and its intimate feel. The program is an all-Beethoven first half (well, almost all Beethoven – I open with one of my signature pieces, the crowd-pleasing Shchedrin’s Basso Ostinato) – Beethoven’s Polonaise op 89 and Appassionata sonata op 57. In the second half, I play Ljova’s Sirota, the European premiere, and then my beloved Davidsbundler op 6 , of Schumann. The Beehoven half means a lot to me because my new disc, “Beethoven the Innovator”, will be coming out soon. The Davidsbundler is one of the most mystical, unconventional large piano works, and playing it is always a new journey. Coming to Paris is always a magical adventure because I feel that it constantly gives – mesmerizing beauty, inspiration, energy. Coming to Paris to play means being able to give back something to this city and its people. I love it. Devised by Nigel Hess and presented by the International Music Foundation, Admission: One Shilling is a unique, one-night-only theatrical evening that tells the extraordinary story of Myra Hess and her famous World War II National Gallery concerts. This production starring Downton Abbey actress (Mrs. Patmore) Lesley Nicol and pianist Inna Faliks will take place at the Chicago Cultural Center’s Preston Bradley Hall on Tuesday, January 29, 2013 at 7:00 p.m. Tickets (maximum 4 tickets per request) are free of charge and may be obtained by sending a self-addressed stamped envelope to International Music Foundation, 30 East Adams Street, Suite 1206, Chicago, IL 60603. Ticket requests must be post-marked after January 7, 2013. Requests post-marked before January 8 will be discarded. In Dame Myra’s own words – compiled by her great-nephew, composer Nigel Hess – and with piano music by Bach, Beethoven, Schubert, Brahms, Schumann and Chopin, we hear how the ‘great adventure’ of these 1600 lunchtime concerts in the National Gallery began, and how it continued on a daily basis for 6 years, even while bombs rained down on London. It is fitting that the US premiere of this work should take place in Chicago, a city which continues to honor the memory of Dame Myra Hess with the weekly Dame Myra Hess Memorial Concerts presented every Wednesday of the year at the Chicago Cultural Center by the International Music Foundation. This performance is made possible through the generous lead sponsorship of BMO Harris Bank, with major additional support from the English Speaking Union and the Richard H. Driehaus Foundation. 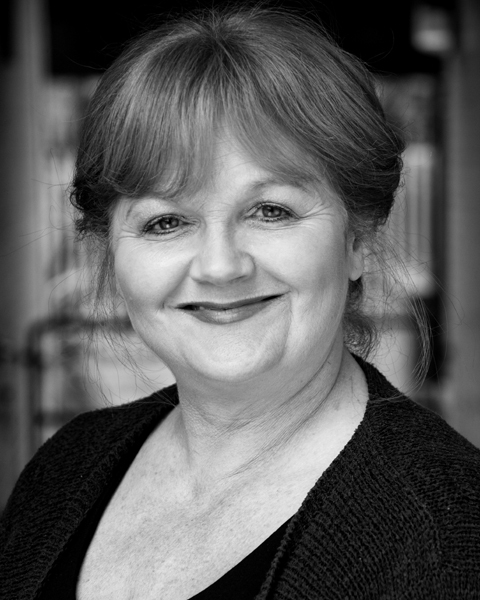 Actress Lesley Nicol spent her formative years in a small town in Lancashire. Daughter of a Scottish GP and a Welsh actress, she discovered early on that accents and being funny were very useful at school, and compensated for fairly shocking results in any subject other than English and Drama. When she was studying for ‘A’ levels in Manchester, she discovered the Library Theatre – became besotted – and gently nagged them, until they employed her at £1 a week. She then spent 3 years at the Guildhall School of Music and Drama in the early 70’s and has been acting ever since. Lesley has enjoyed a hugely diverse career, and this continues to this day. She started her musical career in Jesus Christ Superstar – the first production! – sang her way round the theatres of Great Britain, then found herself in the West End for 3 years playing Rosie in Mamma Mia and Kath Casey in Our House. Her television career has encompassed drama and comedy. Perhaps one of Lesley’s strengths is the ability to make you laugh, and also to move you. When she was in Mamma Mia, fellow actress Anne Reid said to her – ‘You have learnt to put your arms around an audience’. 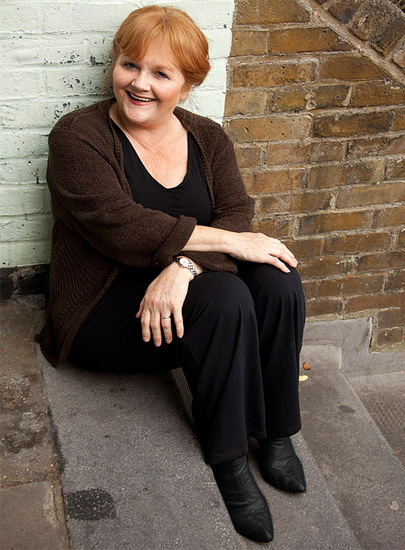 She plays Mrs. Patmore in ITV’s hugely successful Downton Abbey written by Julian Fellowes and co-starring Maggie Smith and Hugh Bonneville. Lesley’s film career is small but beautifully formed – the multi-award winning UK feature East is East, and the sequel West is West which was released in 2011. Pianist Inna Faliks has set herself apart in thousands of performances as a sincere, communicative and direct performer whose virtuosity, power and risk taking serve the depth, intelligence and poetry of her interpretations. Inna’s command of standard solo and concerto repertoire is highlighted by her love of rare and new music, and interdisciplinary and audience-involving programs and lectures. These include her award winning Music/Words, where she alternates music with readings by contemporary poets, her program of piano music of the poet Boris Pasternak (on MSR Classics Sound of Verse, which drew comparisons to Argerich and Cliburn), 13 Ways of Looking at the Goldberg – new variations on Bach’s Aria , music of women composers, and many other programs. She makes sure to present programs that include both beloved crowd pleasers and music that is new and challenging, creating an adventurous, moving and involving experience for the audience. She is a musical omnivore. Faliks debuted as a teenager with the Chicago Symphony and at the Gilmore Festival to rave reviews, and has been exciting and moving audiences worldwide since then. Nigel Hess, the creator of Admission: One Shilling and the great-nephew of Dame Myra Hess, works extensively as a composer and conductor in television, theatre and film. He has composed numerous scores for both American and British television productions, including A Woman of Substance, Vanity Fair, Campion, Maigret, Dangerfield, Just William, Wycliffe, Ballykissangel and New Tricks. He has received the Ivor Novello award twice for Best TV Theme (Hetty Wainthropp Investigates and Testament), and is well-known to Classic FM listeners for his film soundtrack to Ladies in Lavender. 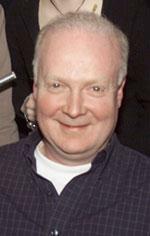 Nigel has written many scores for Royal Shakespeare Company productions, and was awarded the New York Drama Desk Award for ‘Outstanding Music in a Play’ for Much Ado About Nothing and Cyrano de Bergerac on Broadway. His recent work at Shakespeare’s Globe includes the scores for The Merry Wives of Windsor, Romeo and Juliet and Henry VIII. Nigel has also composed much concert music, most recently his Concerto for Piano and Orchestra commissioned by HRH The Prince of Wales. The International Music Foundation has presented the Dame Myra Hess Memorial Concerts under the magnificent Tiffany stained-glass dome in the Chicago Cultural Center’s Preston Bradley Hall every Wednesday at 12:15 p.m. since 1977. The concerts are broadcast live over WFMT Radio (98.7FM) locally, and are streamed globally over www.wfmt.com. The concerts are an important showcase for local, national, and international emerging classical artists, and follow in the tradition of Dame Myra Hess, one of the most eminent pianists of the 20th century, whose assistance to young musicians was a constant during her career. Inna Faliks will appear in the Brooklyn Public Library’s free Classical Interludes Series, on Sunday, December 2, 2012, 4 pm at the Central Library, Dweck Center, Grand Army Plaza, Brooklyn. The mixed program will include works by Beethoven, Schumann, Shchedrin, and Lev “Ljova” Zhurbin. Subway: B, D, N, Q, R, 2, 3, 4, 5 to Atlantic Ave. For more information, visit www.brooklynpubliclibrary.org/events/culture-arts/ or call 718-638-1531. I am very excited about the Music/Words 5th Season opening on September 23rd, at 7:30 pm at New York City’s Le Poisson Rouge (tickets here). This performance at LPR includes the world premiere of the powerful song cycle for baritone and piano by John Eaton, “Songs of Nature and Beyond”, with the wonderful baritone David Adam Moore. I will play Beethoven (work TBA), and also Fantasia on an Ostinato by John Corigliano. This poetic shimmering piece uses Beethoven’s Ostinato from the 7th Symphony, and explores its rhythmic and harmonic elements in a hypnotic, colorful fantasy. It serves as the link between Eaton and Beethoven sound worlds. The Barnard Women Poets Prize winning poet Sandra Beasley‘s poetry will be read by the author in between the pieces. The Eaton song cycle is set to the poetry by Auden, Blackmur, Wallace Stevens, and W.B Yeats, and Sandra’s lucid and fresh voice completes the link between then and now. The following Music/Words performance is sponsored by the Poetry Foundation, and takes place at Curtiss Hall, 410 South Michigan Ave. in Chicago, on October 22nd. It includes readings by poets Vera Pavlova and Verzhyna Mort.